I was lucky to be chosen to be one of the Pink in Blossom from Style Korean. I am so excited because it contained items that I really wanted to try~! So here is the consolidated review of the contents from the box! 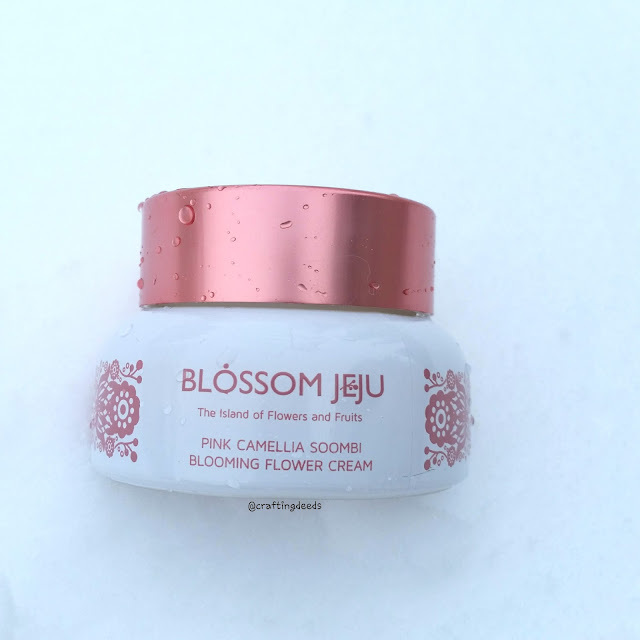 I been lusting over Blossom Jeju ever since I saw Fanserviced's review on its serum. I decided to treat myself when Take Good Care had a sale on the brand last year. They were really kind to answer my questions about the brand and its products. They recommended that I try the Pink Camellia Soombi Blooming Flower Cream as I live in a very dry and cold environment. 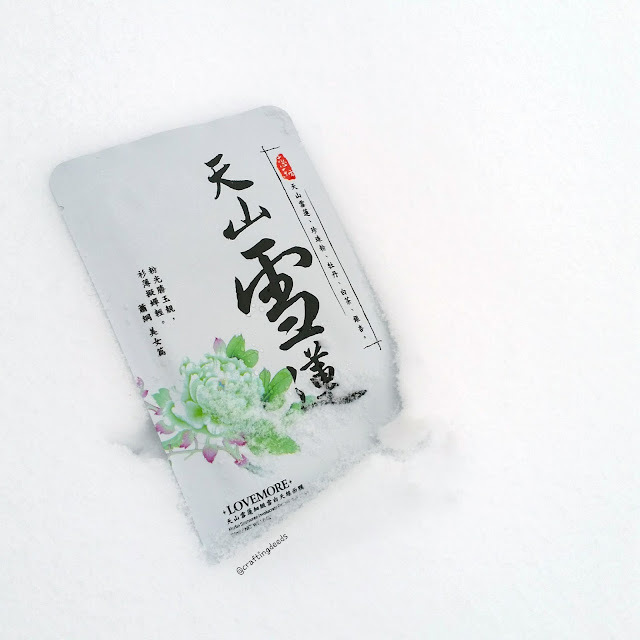 They felt that the cream would be best in keeping my skin moisturized during the cold winters. So I bought the cream and savoured it. I saved it and resisted the temptation to open it until winter has hit Cowtown. I haven been using it the past winter and just finished it. So I am ready to post my review on it. I went a little crazy at Daiso Vancouver a couple years ago, and I was surprised they carried Mediheal masks! 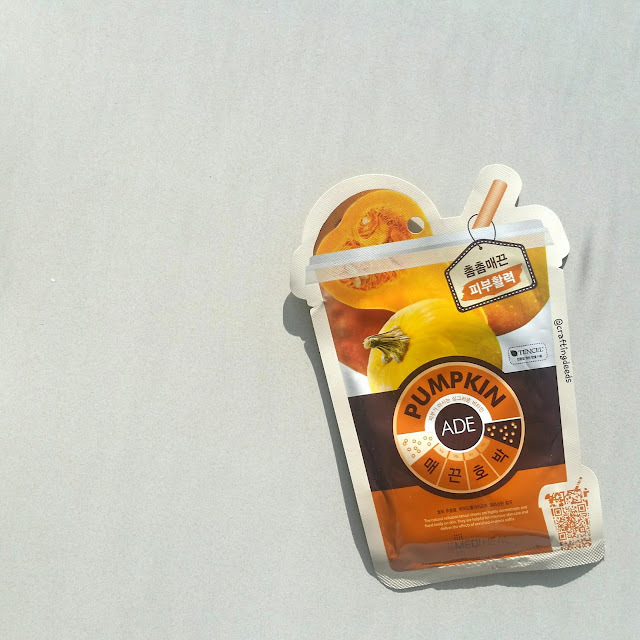 I picked up the Pumpkinade Mask. Fast forward to current day, and these masks are all available at Superstores/Loblaws in Canada. It is now around $1.5 instead of $2 per mask. Let's see how I like it. You know, I eaten enough pearl barley in my life that I actually grown to really like the taste of it. I know in Taiwan, they have the barley water that is supposed to be good for your body. And I actually quite like the taste of it. So I wasn't too surprised to see that barley is one of the flavours for Lovemore. 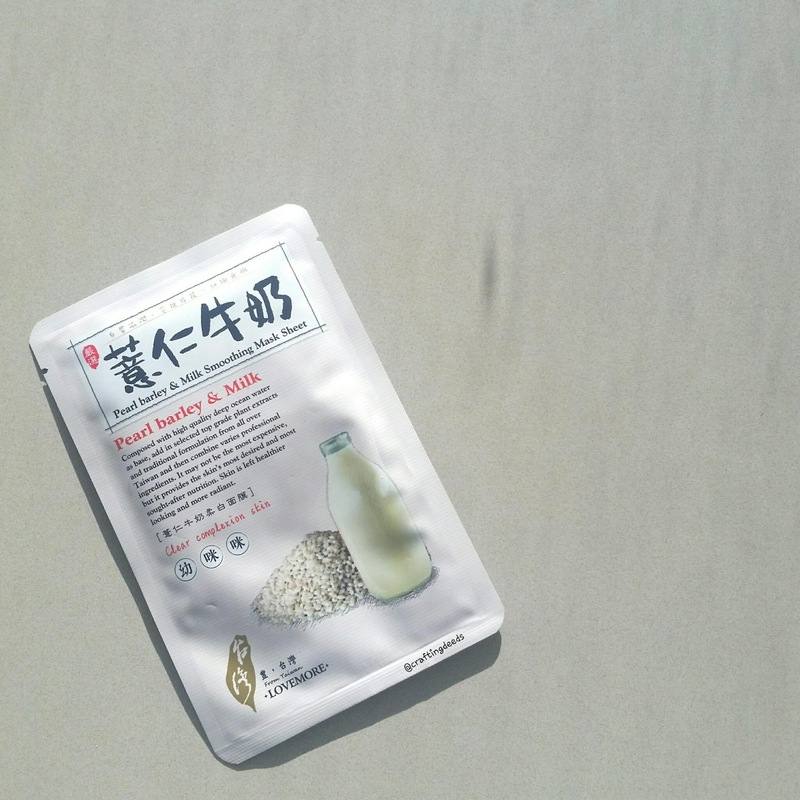 The mask to be reviewed is the Pearl Barley and Milk Smoothing Mask sheet and let's see how it performs. My skin has been dry and flaky as I haven't been really taking are of it. So I needed a pick me up to get back into the game. 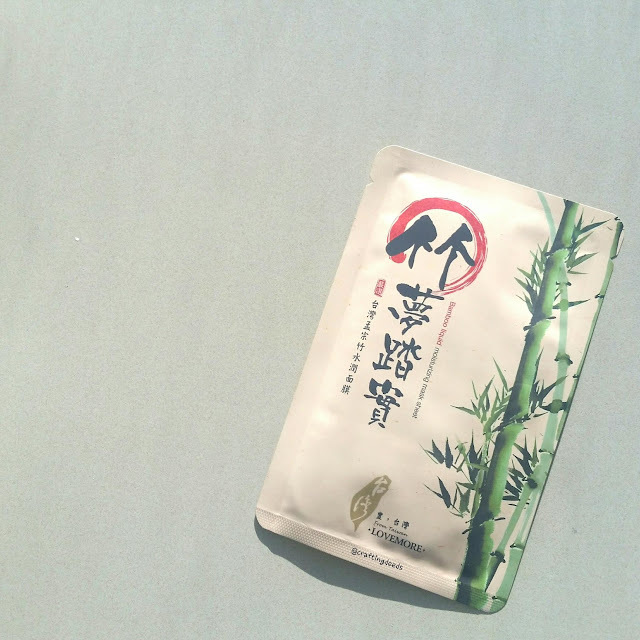 The Lovemore Bamboo Liquid Moisturizing Mask Sheet is recommended for dehydrated or dry skin (hey that's me!) 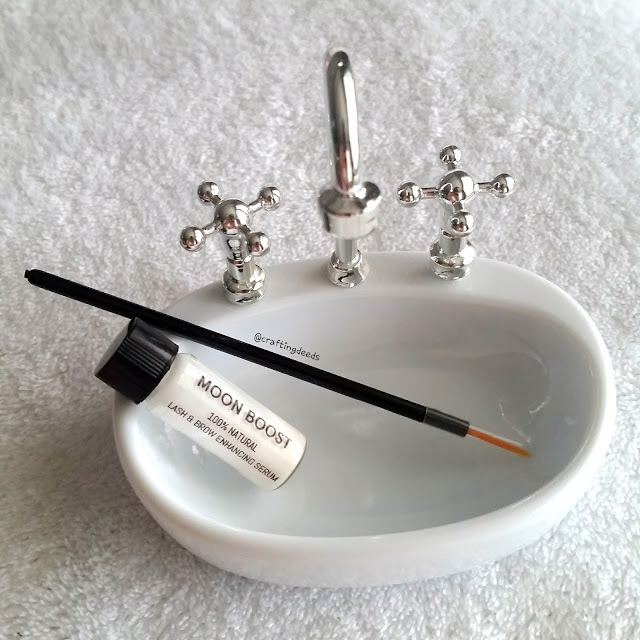 as it is supposed to be really moisturizing with the water from bamboo. So let's see how it performs. Another day, another Lovemore mask to review. I am actually surprised at how much Lovemore masks I still had on hand. I really thought I had used most of it, but nope. I still got tons. 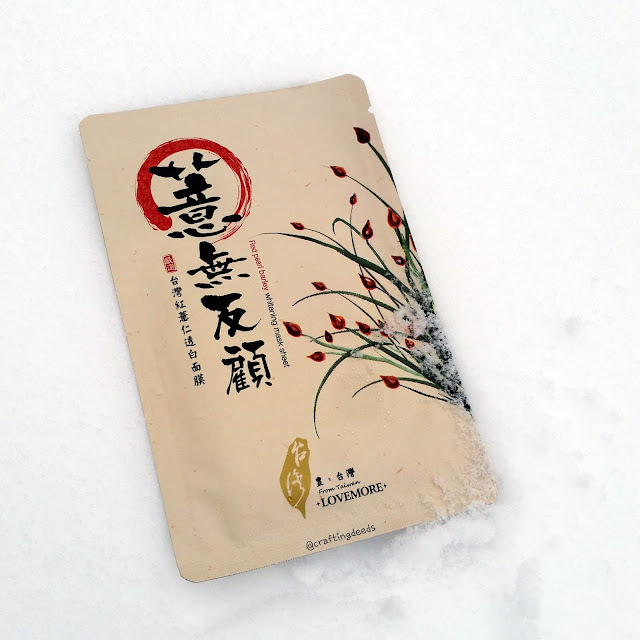 Today's mask is the Herbal Saussurea Involucrata Revival Mask sheet. That's a mouthful eh? I am not sure what that plant is but it sounds like it's very Traditional Chinese Medicine. Today's mask is the Lovemore Red Pearl Barley Whitening Mask Sheet. I like red barley, it taste good and I grew up eating it in my soups. But whitening.. I am sorry, But I am TERRIBLE in telling a difference. So I am already expecting to not like this mask. Though I will try my best to keep an open mind. I feel like this is going to turn into a series of Lovemore mask reviews. Hope that's ok! 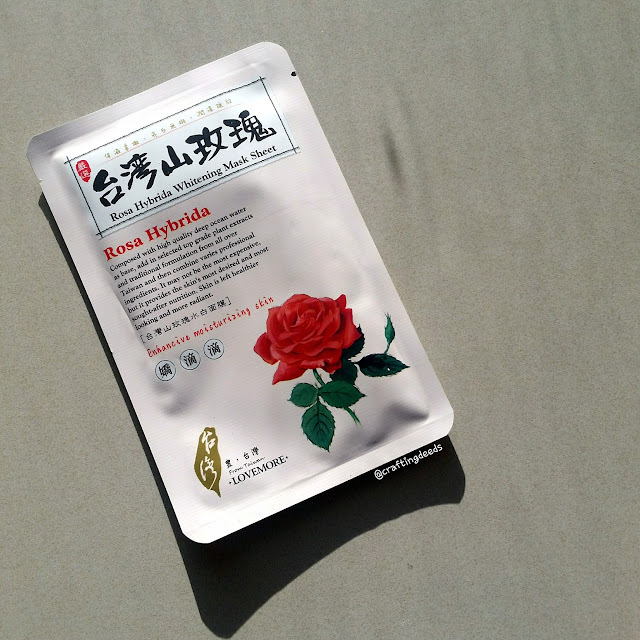 Today's mask is Lovemore's Rosa Hybrida Whitening Mask sheet, which is suppose to be very hydrating. This is due to the organic Taiwanese roses used, which penetrate deeper into the skin and provide nutrition for a brighter skin. It also contain deep sea water that contains smaller particles that allows it to penetrate deeper and provide deeper hydration. Ahhh... I really didn't expect this to become a three parter. Just took too much pictures and rambled on too much. Now, a refresher. This is a longevity test with the different Periera Ink series. You can read part 1 and part 2. 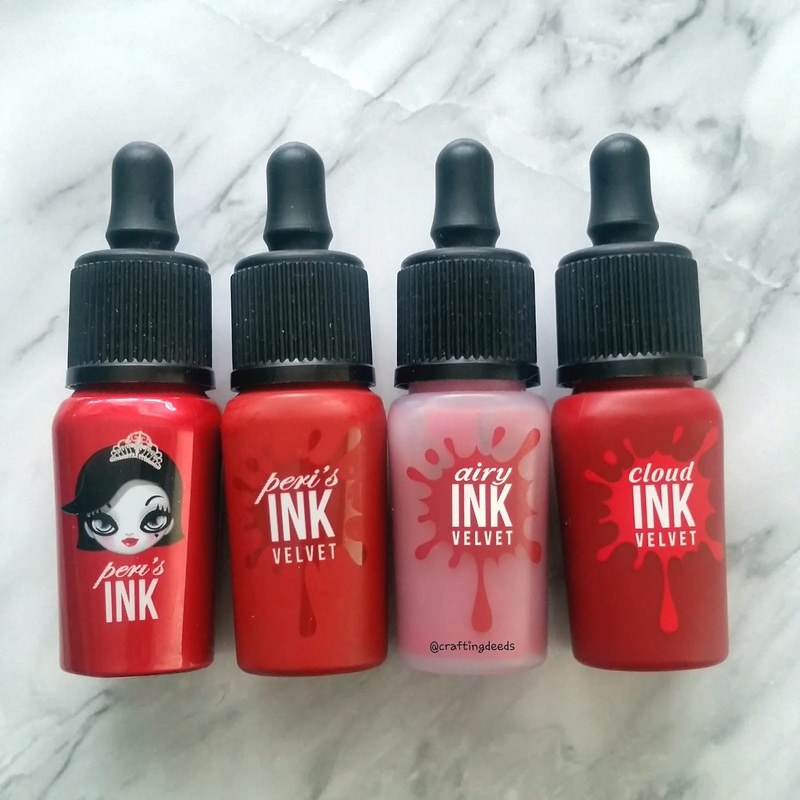 I noticed that most of the visits to my blog is to the post regarding the Peripera Ink Velvet and the Airy Ink Velvet. 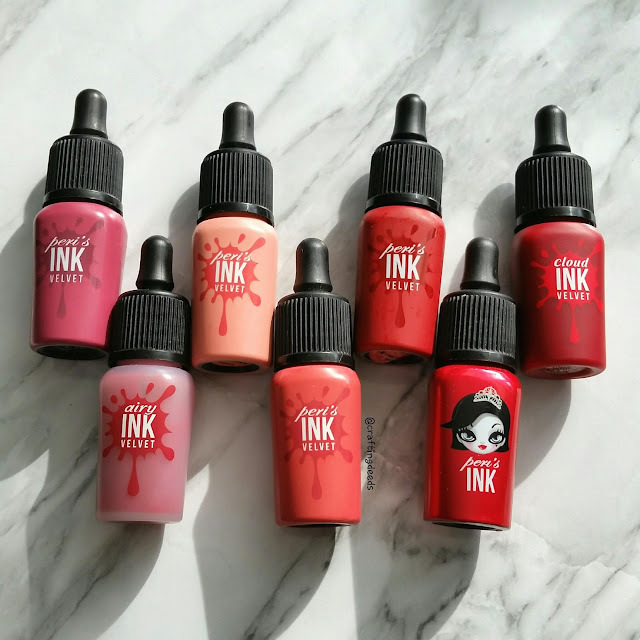 I know some people quite like the wear time comparison and thought I should prepare a post for all of the Ink series that's available. It had been sitting in the back of my head for a while. 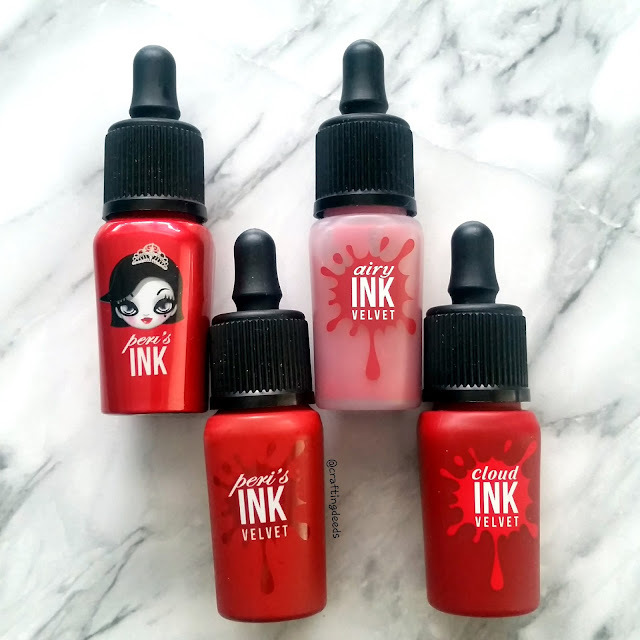 It didn't come to fruition until I inadvertently gathered all of the Ink series. 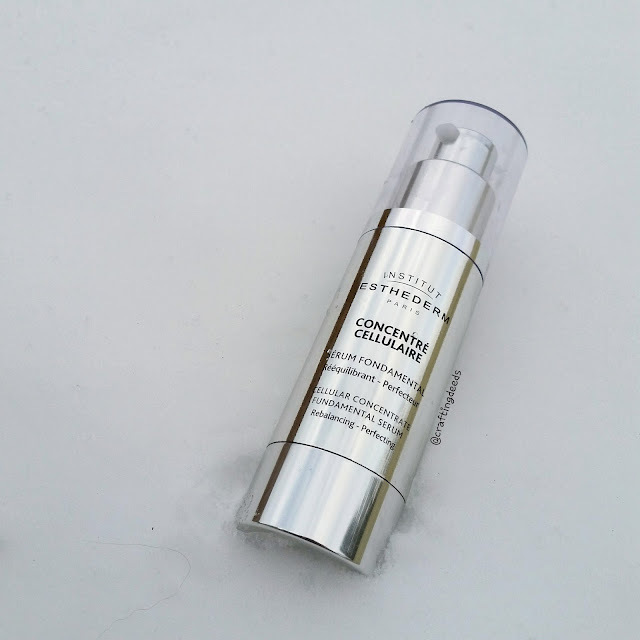 The last product from the Skinvestment's Beauty Date x MTL is the Institut Esthederm's Cellular Concentrate Fundamental Serum. This is my last product to review! I can't believe how long it has taken me to get to it. But I wanted to take my time to use this product and review it. So let's get on with the review shall we? 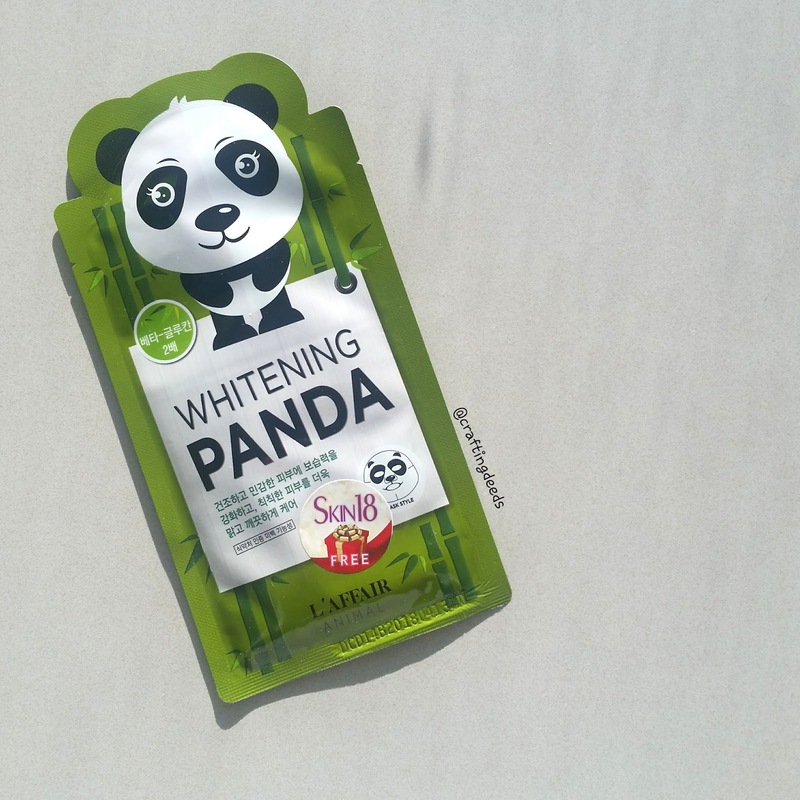 The last in the L'affair Animal series is the Whitening Panda Mask. I been saving this as pandas are special to me. (If you don't know, my dog's name is Panda. My fondness for panda grew from my love for my dog. ^_^). The other two animal masks has been meh at best for me, so I am hoping this will do better. I received the Luna Nectar Moon Boost Serum from Skinvestment x MTL even back in November 2017. It took me a while to try this and now I am finally ready to post my review! But first, let's discuss the brand a little. 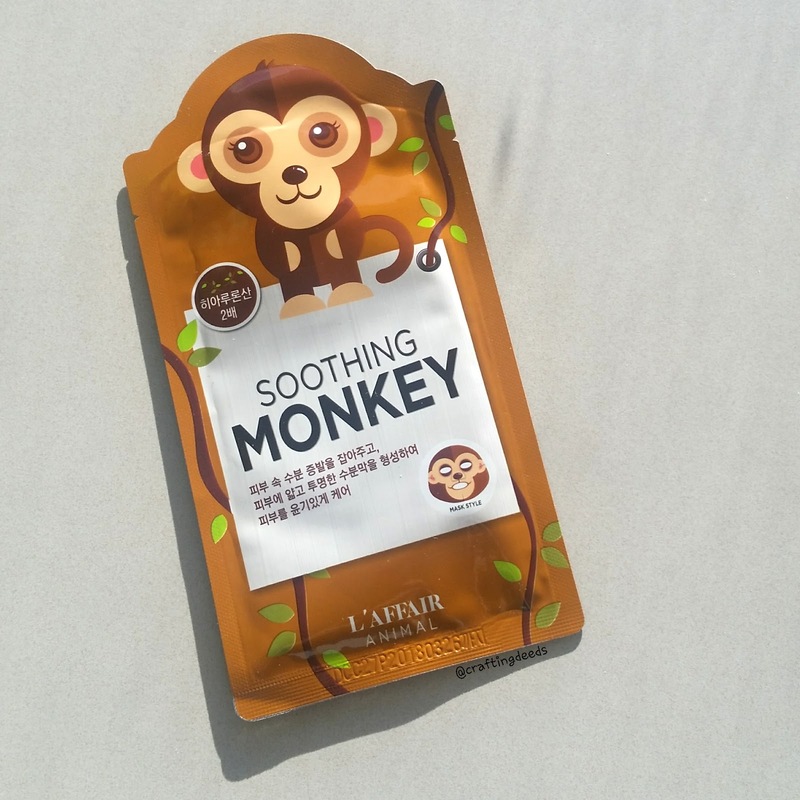 Hmmm I didn't have the best experience with the first L'Affair animal mask. It was super cute but the scent was terrible and left me unhappy. 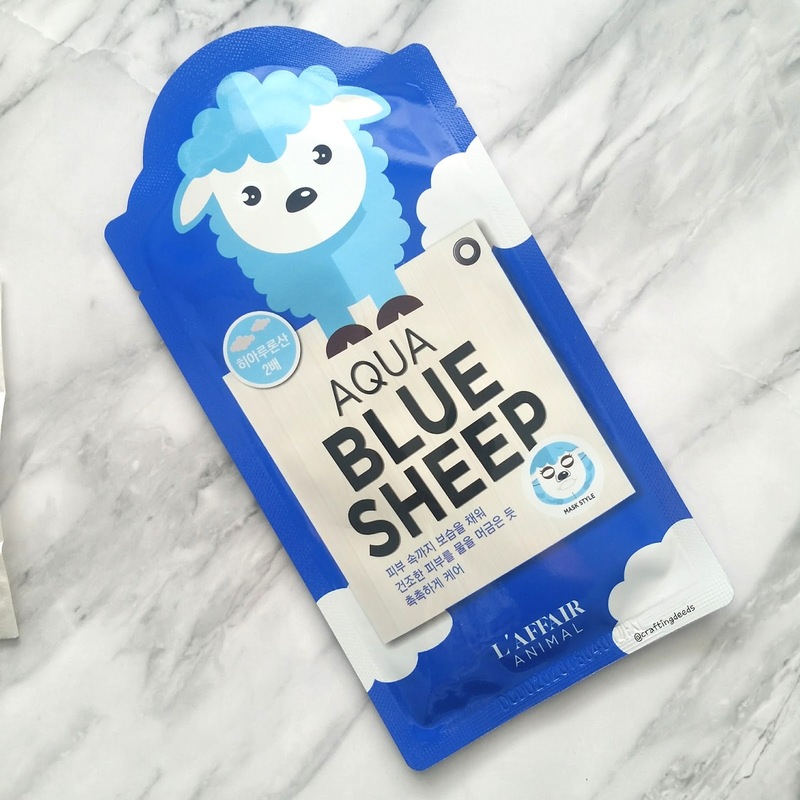 I decided to try the Aqua Blue Sheet Mask and see how it goes. Can you believe it? I never tried a character mask before~! I tend to avoid them for some unknown reason but chose these from Skin18 a couple years ago. I picked a series of them, and today's mask is the L'Affair Animal Soothing Monkey as my skin was quite upset with blemishes everywhere. So it's perfect timing to try and see how it does, seeing how it is one of the rare occasions my skin is so upset.